I can't believe it's been almost a year since I've shared anything about my hair journey on the blog! I looked in my hair journal this morning and saw that I've switched a few things up since my last share, so I decided to share an updated regimen. Also I'm taking part in Traycee's 2013 KISS Boot Camp Challenge so making note of these changes on the blog helps me stay on task and remain accountable. Check out the details below. Nightly, I moisturize my hair and seal it with oil. 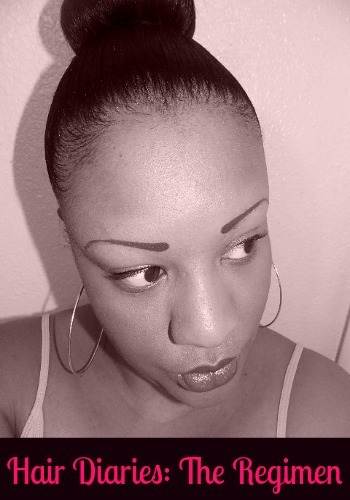 Then I wrap or pin my hair, covering it with a silk scarf. 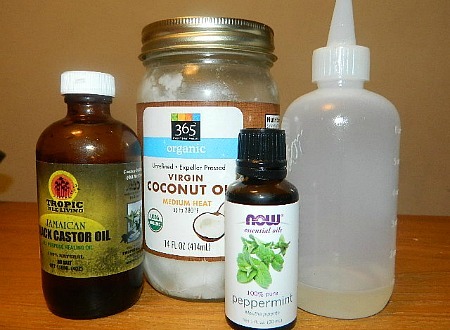 2-3 times a week I do scalp massages, using a fusion of coconut oil, castor oil, and peppermint oil (which stimulates the scalp). 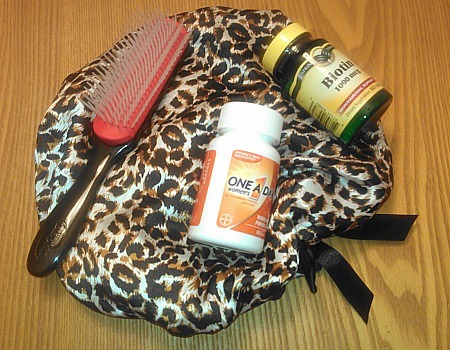 I do this more often in the Winter months, as my scalp and hair are more prone to dryness in the Winter. 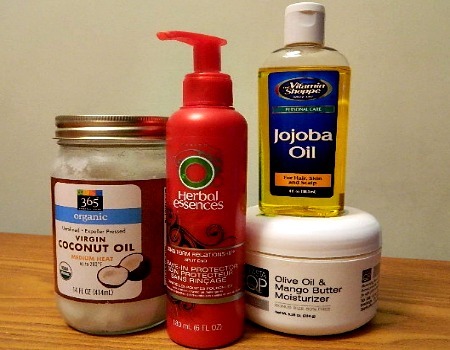 This hot-oil treatment is usually a mix of Jojoba Oil, Coconut Oil, Castor Oil, and Peppermint Oil. 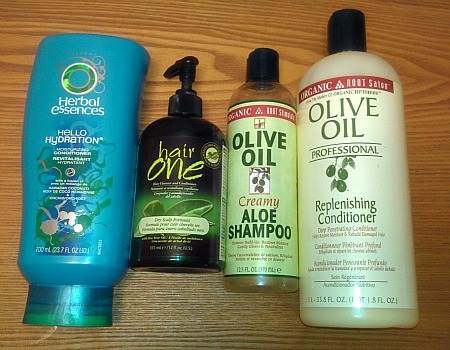 Once monthly, I do a clarifying wash with ORS Aloe Shampoo. I also deep condition with a light protein conditioner such as ORS Replenishing Conditioner infused with Castor Oil and Peppermint Oil. Afterwards, I apply leave-in conditioner, moisturize and seal, and place in a protective style. 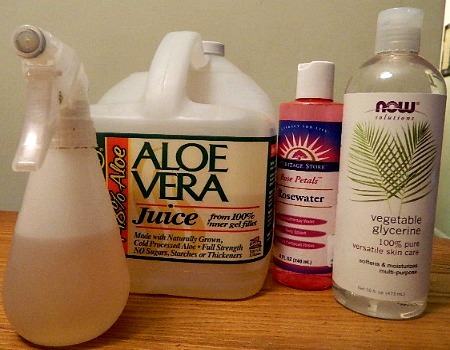 To keep my hair moisturized, especially during stretches, I spritz my hair with a mix of aloe vera juice, rosewater and vegetable glycerine. It helps with detangling also. Find out more about the mix here.